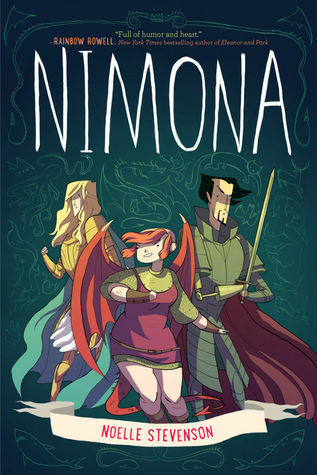 Nimona is one of those books that I knew nothing about, but kept seeing it on so many blogs. It seemed like everyone loved this book and couldn’t stop recommending it. I’m normally leery of books that get too many recommendations, but I was also curious. So after months and months of debating on whether or not I should read this one, I decided to give it a chance. I feel like I missed something. I liked the book, I really did. 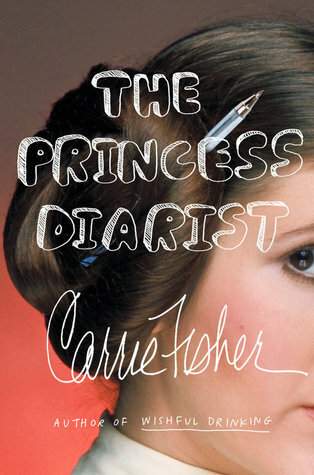 I just didn’t feel that love that everyone else seemed to feel when reading this book. It was a quick read, and the characters were enjoyable enough. The story was…I don’t know, maybe this is where I only liked it and didn’t love it. This is really one of those ones that I can’t explain myself. Perhaps someone who did read this and love it can help me out here. Why did you love the book? I’m sure there are plenty of people out there who haven’t read this book yet and will enjoyed it. Others may be like me and simply like it. I’m not sure if I would recommend it or not, but hey if you want to read it, do so, since you will never know if you will like, love or hate a book until you give it a try. This entry was posted in Books, Fantasy, Graphic Novel, Young Adult and tagged Book Review, Books, Fantasy, Graphic Novel, Young Adult. Bookmark the permalink.